One writing technique that can breath some life into your story and also give you a whole bunch new story stuff to play with is giving your characters contradictory goals. I've talked a lot about contradictions with Trigun--that's because the writer of it, Nightow, is great at them. Look at all the irony in his characters, their relationships, and roles. Ever since his protagonist, Vash, was a child, he's had contradicting goals. He wants to save the spider and the butterfly, which is impossible. If you cater to the spider, it will eat the butterfly. If you save the butterfly, the spider will die from starvation. And yet, through most of Trigun, Vash is trying to save both. One of my favorite aspects of the movie Badlands Rumble, is that Vash is freaking running around trying to save criminals and innocents. He's trying to save an outlaw, the outlaw's victims, and the bounty hunters. What's funny about the outlaw vs. bounty hunter scenario is that those two kinds of people are literally trying to kill each other. And Vash is in the middle of everything trying to keep them safe. While also trying to keep himself alive. Oh Meryl. . . people both love and hate her. I love her. Okay, maybe the very first time I saw the show, she wasn't my favorite in the first few episodes, but that's because I didn't understand her or her role. I think I do now. Out of all the Trigun characters, Meryl has the biggest contrast between what she feels and what she says, and I find that interesting. She also fulfills a pretty important role in the story. I think the fact that Meryl was assigned to hunt down the most dangerous man on the planet says a lot about her capabilities and work ethic. Her tightly wound personality provides more opportunities for Vash to be humorous. She provides a nice foil for him. And one of the most important aspects of her as a character is that she embodies (almost) everyone's experience with Vash the Stampede. So many minor characters go through theses same stages. For Writers: You might want to consider creating a character that embodies the average guy or girl (generally speaking). Sherlock had John Watson. John Watson embodies the average guy and as such, he helps us as an audience keep up and connect with the psychopath genius. 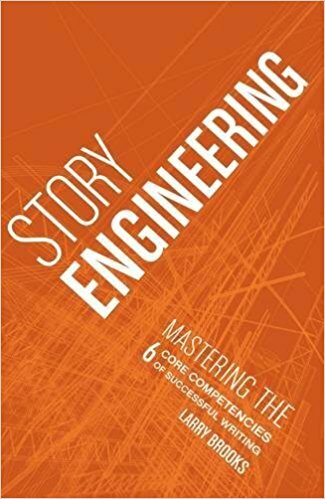 Not every story needs an "every man" character, but if you're audience isn't connecting with your story or characters, consider creating one. So in Trigun, we've been following this ongoing feud between Vash and Knives, which turns out to be a war over the whole human race. I feel like the only reason the human race has lasted this long on Gunsmoke is because Vash blasted Knives in July City, and Knives had to spend years regenerating from it. Knives' plan for the destruction of the human race was kind of put on hold; he's also upset with Vash about everything and wants to torment him, after all, that was what he was taught to do as a child from the SEEDS crew. They abused and tormented him, which is also partly why he wants to obliterate the whole human race. So Knives wants to eradicate humans. Vash wants to save them, which is such a beautiful contradiction in and of itself, because if anyone is keeping count, Vash has been wronged way more times by humans than Knives has, or probably anyone for that matter. Vash is trying to save the very people who want to kill him. (I'm telling you, this series is pro at irony and contradiction!) He's like that literary Christ-like figure; he forgives them because they don't really understand the forces at work here. He also forgives them because of Rem's teachings, and he values them because Rem gave her life to save these people here. Rem had such an effect on Vash that if Rem values these people, Vash will too. Also, since she did give up her life to save them, keeping them alive and safe is like keeping Rem alive. If the human race dies, Rem dies in vain. 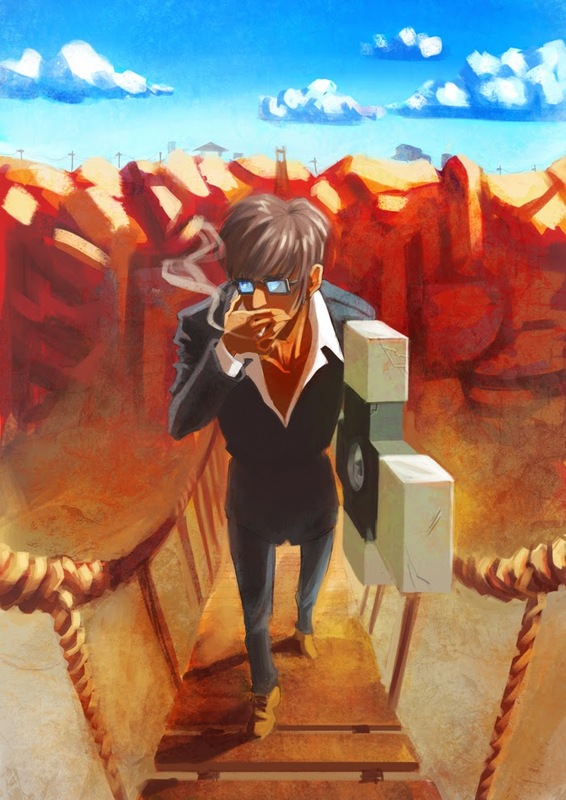 Wolfwood is another walking contradiction. Let's look at the opposites he embodies to create a fascinating character. Really, the whole concept of his character is embodied in his cross. It's a symbol of religion, of Christianity--he says it's so full of mercy--and yet we find out it's packed with guns, weapons of a hard life. That's Wolfwood. The fact Vash can get away without killing spiders or butterflies bothers Wolfwood, not only because he sees it as naive and unrealistic, but because being around that belief system makes him feel worse about himself. 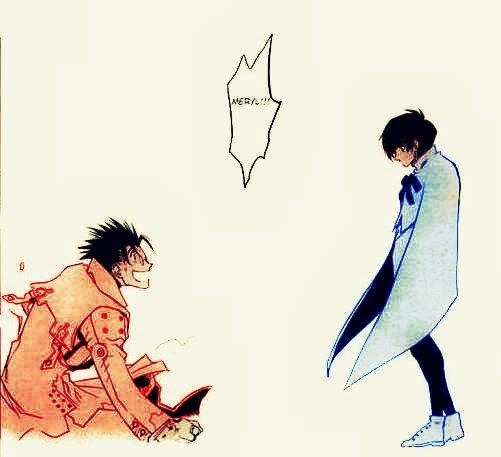 He says that the more he's around Vash, the more he's reminded of everything he hates about himself. An outlaw makes a priest feel unholy. Beautiful contradiction. This post is part of a series I’m doing where, as a writer, I’m dissecting Trigun and its characters. We’re getting in deep into this story. Be prepared to freak out about what I found (that’s what I did). And if you're a writer, maybe learn some new storytelling skills along the way. Last time I talked about how Vash grows as a character by learning to be more proactive and independent. But Vash grows in more ways than that. Another weakness he has is an ignorance of his own nature. It's even suggested that he might have a bit of a fear of it. He's not human; he's a plant, a powerful species engineered by humankind, but Vash doesn't fully understand what that means or what he's capable of. When Knives was a child, he didn't either. 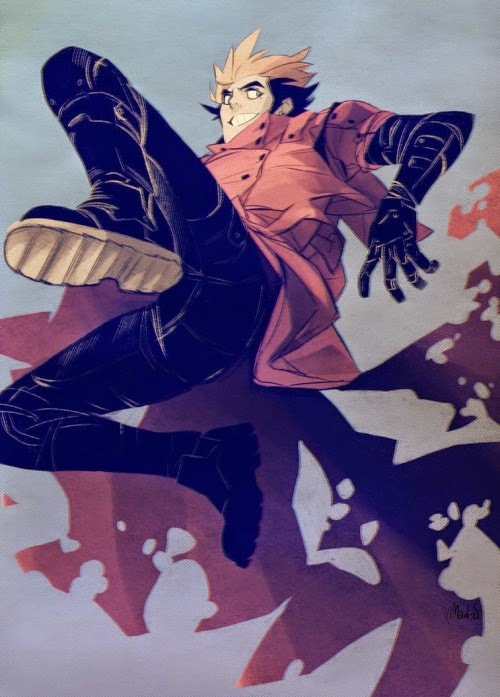 Unlike Vash, though, Knives embraces his nature and power, maybe because he grows to detest humans so much. On the SEEDS ship, Knives finds Vash crying. Vash says he's upset because "Steve says we're not human," which shows Vash identifies himself as human. When the SEEDS ships crash onto Gunsmoke, Vash yells at Knives, "You're not even human," which again shows Vash thinks himself as human. Knives says, "Dang straight I'm not," showing that he strongly differentiates himself from humankind. This post is part of a series I’m doing where, as a writer, I’m dissecting Trigun and its characters. We’re getting in deep into this story. Be prepared to freak out about what I found (that’s what I did). And if you're a writer, maybe learn some new skill along the way. 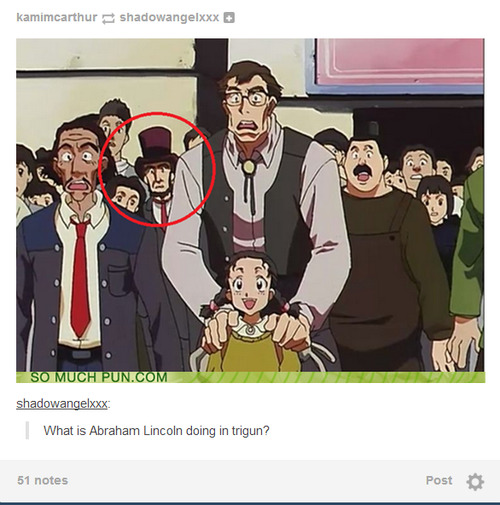 Remember when I did those posts on Fullmetal Alchemist: Brotherhood? I talked about how to create complex characters through contradictions by looking at Ed. Trigun creates a lot of interesting characters by giving them contradictions. 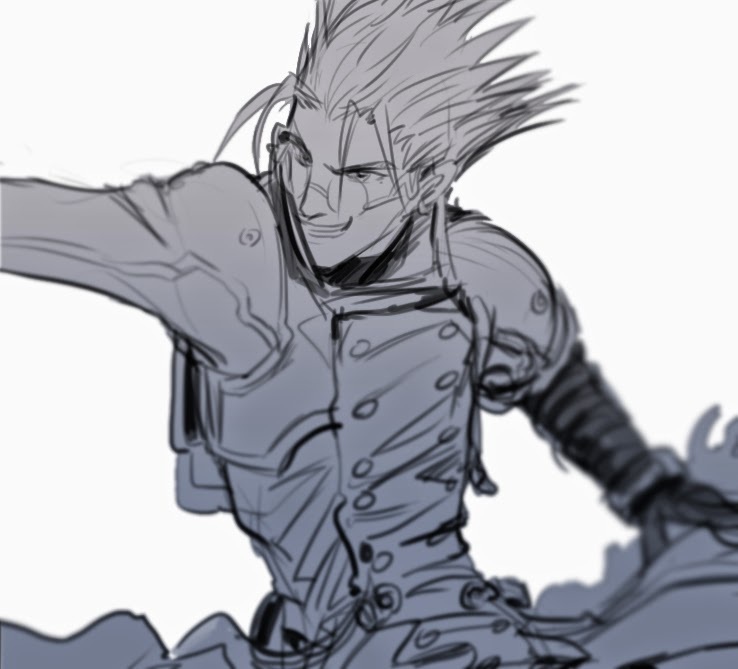 I mean, just look at the protagonist, Vash the Stampede. He's an outlaw so dangerous, he's been dubbed a "natural disaster" in insurance policies. 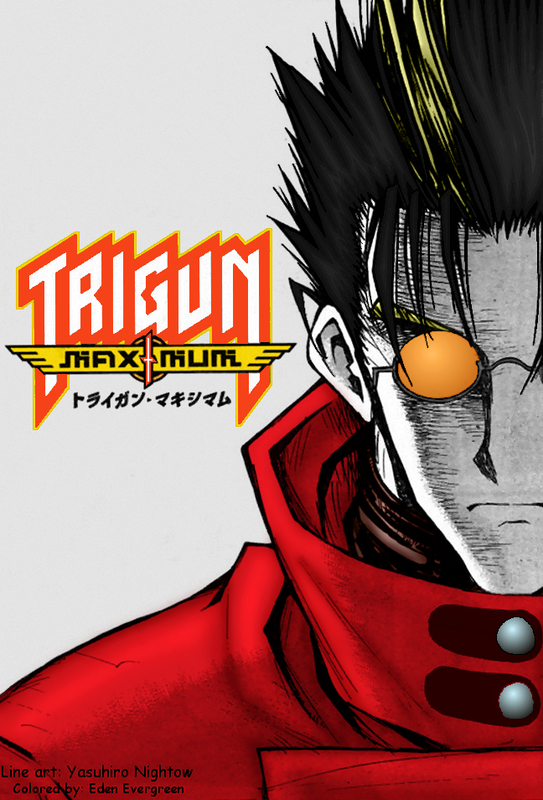 This post is part of a series I'm doing where, as a writer, I'm dissecting Trigun. We're getting deep into this story. If you're a writer, maybe you'll learn some new skills along the way. 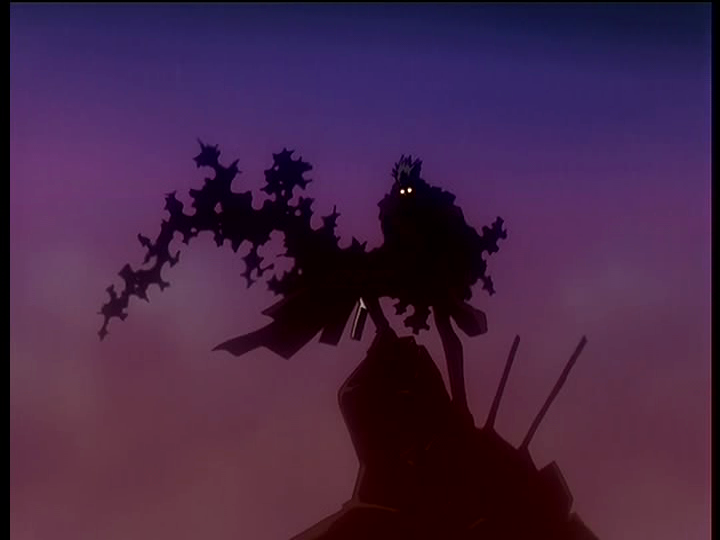 What I love about Trigun is that it's one of those stories that changes every time I watch it. The best stories do that, because they're layered. You know, the kind where you catch onto something new the second time, the third time, the tenth time you watch it. Or the meaning of the story changes because you've changed. This time when I watched Trigun, I finally really caught on to and appreciated what the heck Vash planned to do with Knives at the end of the series. The show has a pretty open ending. I've always wished there was just one more episode, or even 15 more minutes. What do you do with someone as sadistic as Knives when your morals prevent you from killing him? When no jail is capable of holding him? This month I'm starting my writerly dissection of Trigun. So, if it's not your thing, feel free to ignore my blog for the next month and a half. If you're a writer, go write. November is National Novel Writing Month. 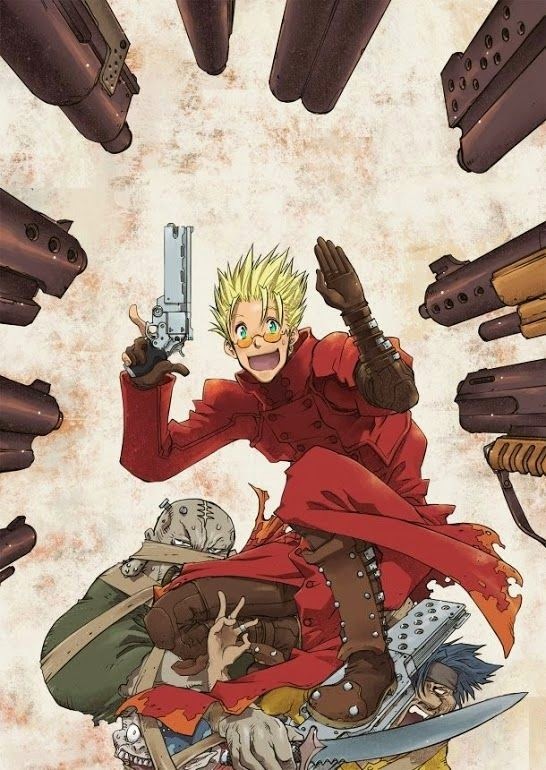 But if you like Trigun, and I know some of you do, or if you still want to see a story dissected in a writerly fashion, prepare to be blown away. I was when I wrote these dissection posts. 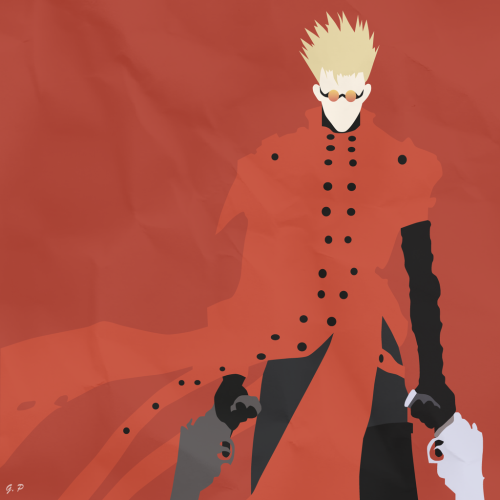 But I'm going to be honest, if you haven't watched Trigun, you're probably going to be lost. Unlike my other dissections, I'm getting in deep. I didn't really write these for a general audience. I wrote it for Trigun fans, and maybe writers who are familiar with the show. 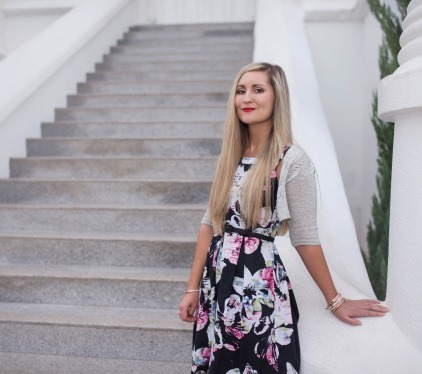 Today, I'm just gushing, doing an intro, and giving you a rundown of how this is gonna happen, and talking about the giveaway. If you haven't seen Trigun and want to in order to follow along, you can find it on Netflix, or up for free on websites or on youtube. It's only about 26 episodes long. If swearing is a problem for you, I recommend watching the subtitled version.